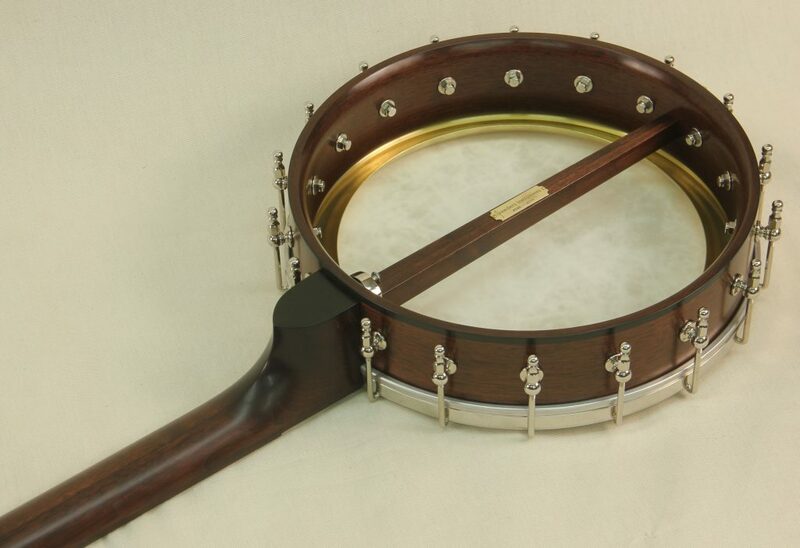 This is a 12″ Walnut Style 3 variation. 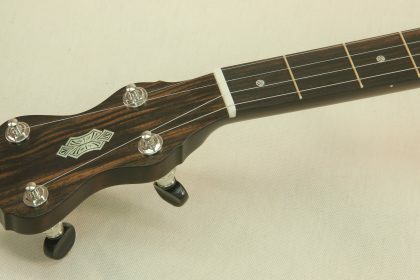 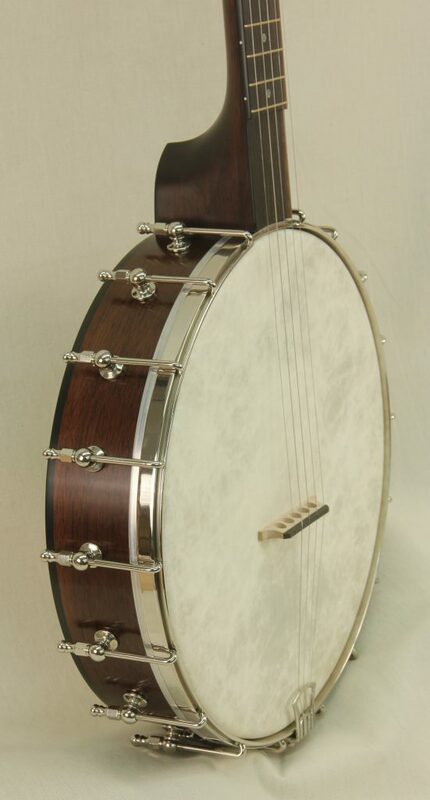 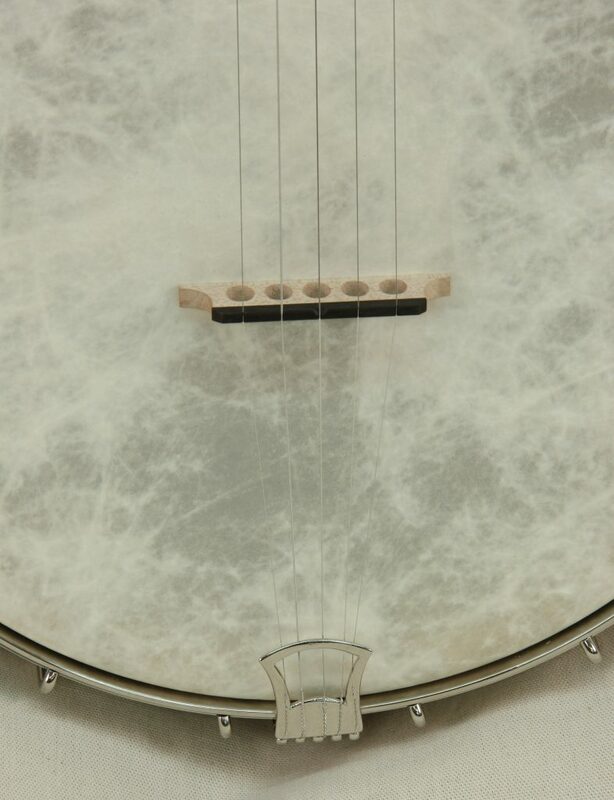 This banjo has a powerful well rounded tone unique to the Dobson Special with a comfortable neck profile ideal for all hand sizes and comfort while playing all over the neck. 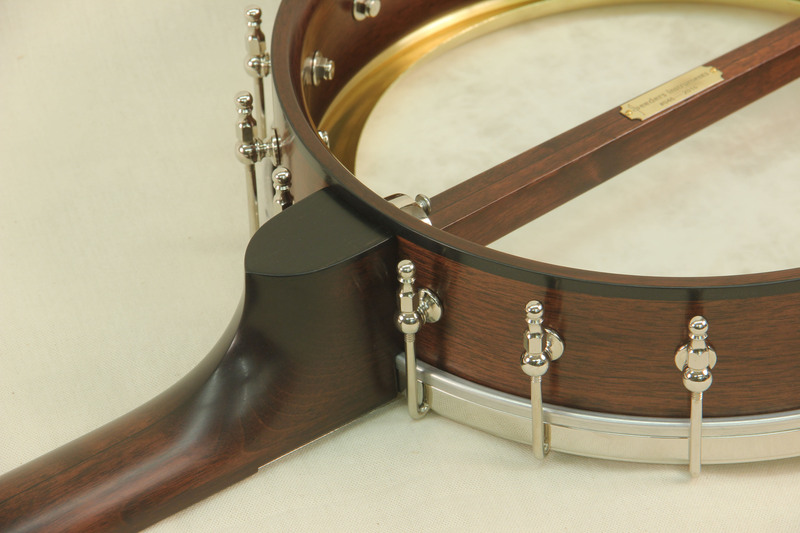 The Dobson Special utilizes a Dobson tone ring mounted on a rolled brass ring to isolate the tone ring from the wooden rim giving it a unique and powerful Dobson sound with more balanced and a crisp overall tone. 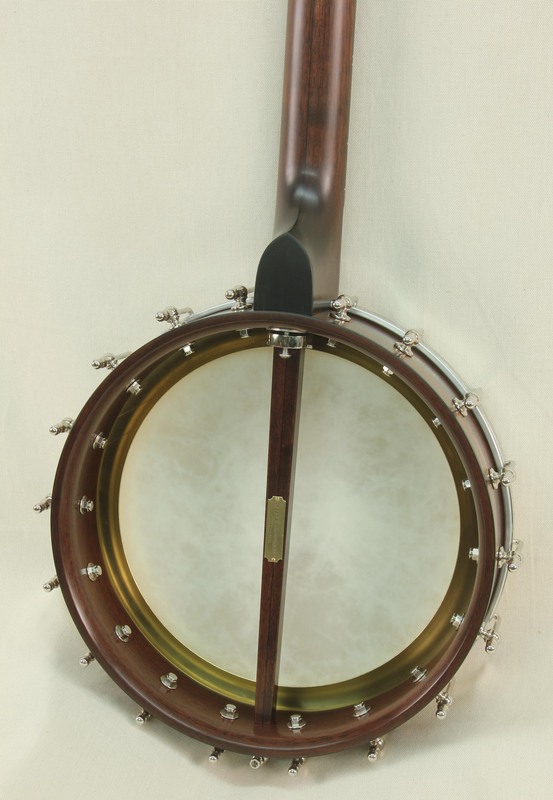 The low end range is enhanced slightly with the larger 12″ rim. 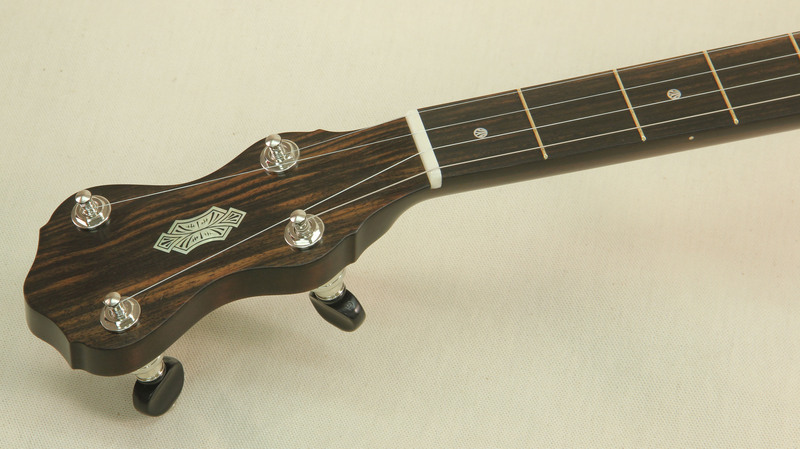 It’s simple but elegant inlays and overall design has a vintage inspired look while adding modern play ability and durability.